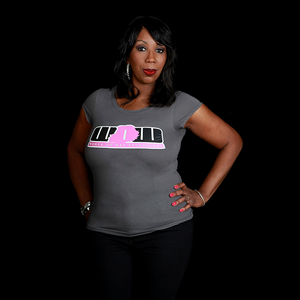 DJ Minx was inspired to spin by the famed Music Institute in Detroit. Her style is described as funky, powerful house, with a splash of grace. For two years, Minx engineered and hosted “Deep Space Radio”, an electronic music show on Detroit’s WGPR radio station. The show was heralded by the innovators of techno music: “Magic” Juan Atkins, Kevin “Reese” Saunderson, Eddie Fowlkes, and Derrick May. She conducted interviews and played mixes by DJs and Producers from around the world.. Minx also voluntarily did a weekly radio program at the University of Canada on CJAM 91.5 FM called “Steamy Windows” that featured house music by various local and international artists. As a resident of world-renowned Club Motor, Minx opened for Basement Jaxx, Doc Martin, Cajmere, and Afrika Bambatta just to name a few. She has also played alongside Richie Hawtin, John Acquiviva, and Timmy Regisford at various venues across the country. In December 1996, Minx created Women on Wax, a collective of lady DJs from the Metro Detroit area. From then on, she began working with promoters and DJs all over the country, and helped to solidify the career of several top female DJs and songstresses.